It might be comforting to think that we will all ‘live long and prosper’. But the impact of the ageing population may lead to increased health and social care costs or the growing number of older people may create new economic and social opportunities. The UK population has continued to grow since 1975 and currently sits at 65.5 million in 2017. Factors that have contributed to this rise are net migration, births exceeding deaths and women of child bearing age have rising fertility. People’s ideas of ‘later life’ are changing, as there are now more people in the UK aged 60 and above than there are under 18. But it could be argued an older UK population has the potential to continue to do well and thrive and transform the norms of previous generations. 1. Growing old – by 2040, nearly one in seven Britons will be over 75, according to a report by the Resolution foundation thinktank. 3. Working longer – 2017 will see the ratio of non-workers to workers start to rise for the first time since the early 1980s, in addition a report by the Resolution Foundation thinktank report the state pension age could be forced up to 70 by the late 2030s. 4. Life expectancy – it is claimed we have vastly improved life expectancy, which is growing by five hours a day an there is the capacity of longer life in more families. 5. Inequalities – these are greater in the aged 50 to 74 than any other, they’re either depicted as rich and successful, even powerful; on the flipside there are those living in poverty, with difficulties maintaining and heating houses, suffering from malnutrition, needing help and care and being unable to find it. 6. 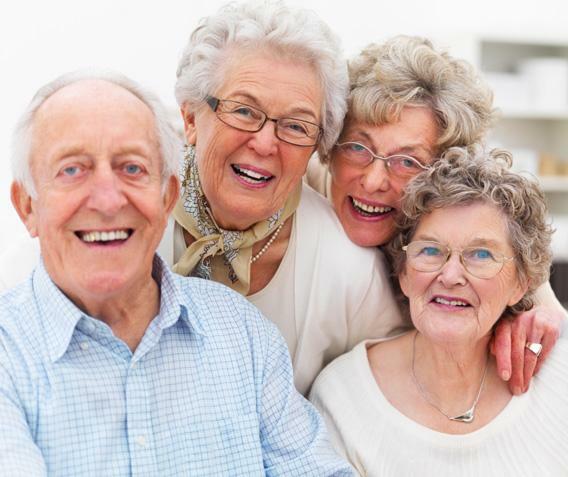 Average age growing – in 2014, the average age in the UK exceeded 40 for the first time, it’s predicted to rise to 42.9 by 2039; this will present greater demands on healthcare and pensions in the future. 7. Community minded – on average 23.9% of the elderly participate in volunteering and they contribute financially through volunteering, which has a hidden value of £10 billion per annum, most volunteer in more than one business. 8. Spending power – older people have spending power of £76 billion, set to rise to £127 billion by 2030 which is a growth of 68%. 9. All alone – Kings Fund suggest a high proportion of older people in the future will be living on their own and are therefore likely to require formal care; currently 3.5 million 65+ live alone and nearly 70% of these are women. 10. Social care – Kings Fund further state the number of older people with care needs is expected to rise by more than 60% in the next 20 years. The UK population is both increasing and ageing. Current projections show this pattern is set to continue with an anticipated 74.3 million projected by 2039, where one in 12 people will be aged over 80. Yet if people can stay healthy for longer, they will remain engaged members of society. If you’d like to find out more about how we could support your research needs in 2017, email info@alexandrapatrick.co.uk or contact via Twitter. This entry was posted in alexandrapatrick, Healthcare Marketing, statistics and tagged ageing population, healthcare awareness campaigns, Healthcare Marketing. Bookmark the permalink. ← What are the smart digital marketing trends for 2017?